While the causes of chronic kidney disease (CKD) are different in children than their adult counterparts, many comorbidities are commonly encountered by both populations. Particularly concerning is that these entities contribute to the decrease in lifespan in children with CKD. Amongst these conditions are hypertension, anemia, and electrolyte abnormalities. While these can cause metabolic derangements individually, they each contribute to the development and progression of cardiovascular disease, which in turn, exponentially increases mortality (Vidi Curr Opin Pediatr 30 (2): 247-251, 2018). It has been estimated that the mortality rate of children with CKD is 30 times higher than their healthy peers (Ferris et al. Blood Purif 41 (1-3): 205-10, 2016). As these conditions are each treatable, optimization of medical management can lessen the risk of death in this high-risk population. Hypertension remains underdiagnosed in children with CKD despite a high prevalence. The American Academy of Pediatrics released the Clinical Practice Guideline for Screening and Management of High Blood Pressure in Children and Adolescents in 2007, in which experts outline the need for aggressive diagnosis and treatment of hypertension. While the mainstay of anemia management remains correction of iron deficiency and erythropoiesis stimulating agents, long-acting erythropoietic agents offer an alternative option to traditional management. Electrolyte abnormalities including metabolic acidosis and hyperkalemia must be addressed in order to optimize clinical outcomes. The care of children with CKD remains complex with the need for a wholistic approach. Although the injury initiates within the kidneys, the associated comorbidities have systemic consequences. Some of these include hypertension, anemia, and electrolyte abnormalities. The early identification of these conditions as well as aggressive treatment can improve the health of these children. Deepa H. Chand is an employee and shareholder of AbbVie. Rudolph P. Valentini declares that he has no conflict of interest. Vidi SR. Role of hypertension in progression of chronic kidney disease in children. Curr Opin Pediatr. 2018;30(2):247–51. https://doi.org/10.1097/MOP.0000000000000595 Hypertension is an independent risk factor for progression of chronic kidney disease (CKD) in children. Children with early CKD develop hypertension secondary to renal disease. This review aims to highlight recent advances that help us better understand the current role of hypertension in progression of CKD in children. •• Flynn JT, Kaelber DC, Baker-Smith CM, Blowey D, Carroll AE, Daniels SR, de Ferranti SD, Dionne JM, Falkner B, Flinn SK, Gidding SS, Goodwin C, Leu MG, Powers ME, Rea C, Samuels J, Simasek M, Thaker VV, Urbina EM. Clinical practice guideline for screening and management of high blood pressure in children and adolescents. Pediatrics. 2017;140(3). pii: e20171904. https://doi.org/10.1542/peds.2017-1904. 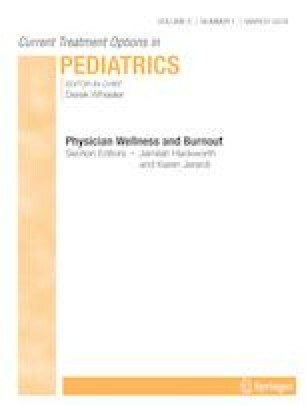 Epub 2017 Aug 21.These pediatric hypertension guidelines are an update to the 2004 “Fourth Report on the Diagnosis, Evaluation, and Treatment of High Blood Pressure in Children and Adolescents.” These guidelines include 30 Key Action Statements and 27 additional recommendations derived from a comprehensive review of almost 15 000 published articles between January 2004 and July 2016. Each Key Action Statement includes level of evidence, benefit-harm relationship, and strength of recommendation. This clinical practice guideline, endorsed by the American Heart Association, is intended to foster a patient- and family-centered approach to care, reduce unnecessary and costly medical interventions, improve patient diagnoses and outcomes, support implementation, and provide direction for future research.